Yesterday we headed up to Santa Barbara for a venue walkthrough at The Retreat at Pacifica Graduate Institute. 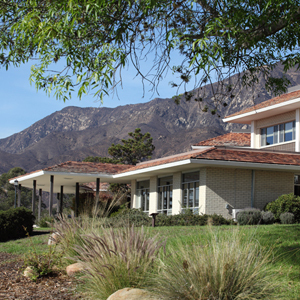 The Ladera Lane Campus where we were is a 35-acre educational and retreat center in the coastal foothills. From beautiful gardens, networks of hiking trails that lead off into the wilderness, this is a place worth holding your next event. Not only is this a great place to hold your next event, it also has a lot of great programs you can attend this year. In this one-day workshop, we experience ways of transforming nightmare images to serve a more constructive purpose. As we delve into the healing potential of dreams, specific approaches are offered that support our psychological and physical well-being. This lecture will focus on the challenges faced by psychotherapists and psychologically-minded persons in our current social and political era. How do psychoanalysts, analytical psychologists, depth psychologists—people whose predicate is based on the reflective self—work within a social milieu in which thoughtfulness itself seems at the least annoying and at worst a threat by many to the body politic? Join us for a One-Day Introduction to Pacifica’s graduate degree programs in Depth Psychology and Mythological Studies. The event offers prospective graduate students a comprehensive introduction and orientation to the distinctive educational features of the Institute. This in-depth intensive explores various ways depth and archetypal psychologies can help us answer the poet Mary Oliver’s key question about vocation—“Tell me, what is it you plan to do with your one wild and precious life?" Women, Waters and Wastelands: Can Celtic Mythology inform the ways we live today? The worldview which pervades Celtic mythology is profoundly relevant today, offering a deep ecological alternative to the centuries-long disenchantment which has led to the personal, social and environmental crises we face today. Now, more than ever, our field must support methodological approaches that foster the repair of disconnection. 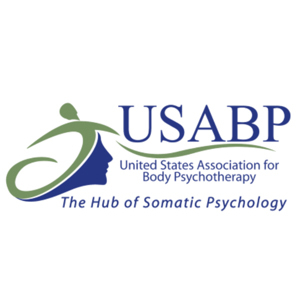 We aim through this conference to highlight both the science and practice of how embodied self-awareness promotes this capacity for connection.